With the help of EmbedPress, you can easily add Flickr image to WordPress, using just a URL. 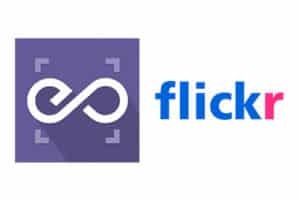 Flickr is owned by Yahoo, it is a popular image and video sharing website used by millions of people all around the world to share and embed their personal photographs or videos. It aims to help people to share their photographs with their near ones and also to provide an efficient way of managing photos and videos. EmbedPress is a reliable and valuable plugin. With EmbedPress, it is very simple to embed Flickr image in WordPress, you don’t need to entangle around with embed codes. All you need is the URL of the image that you have selected to embed on your site. 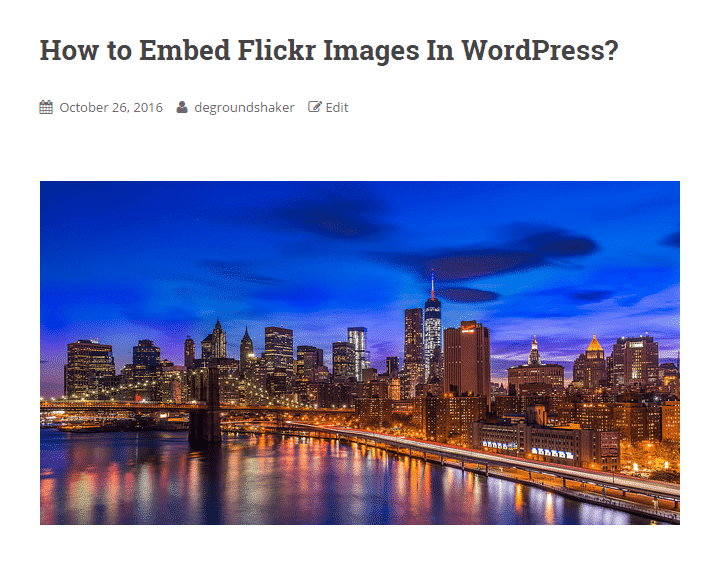 Here are the steps to embed any Flickr image into your WordPress site, using the EmbedPress plugin and a URL. EmbedPress is a useful plugin that improves capabilities of WordPress and allows users to embed videos, documents, audios, surveys and images from others websites like YouTube, PollDaddy and Facebook on their wordpress site very easily. Install EmbedPress in your WordPress site and it will become far more powerful and efficient. Click here to find EmbedPress on WordPress.org. Before you can embed the image into WordPress, you need to get the URL of the image. Go to Flickr homepage to login to your account. 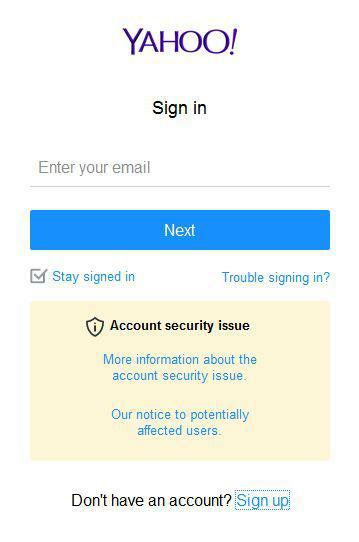 Sign in with your Yahoo Account on login page and browse through images. 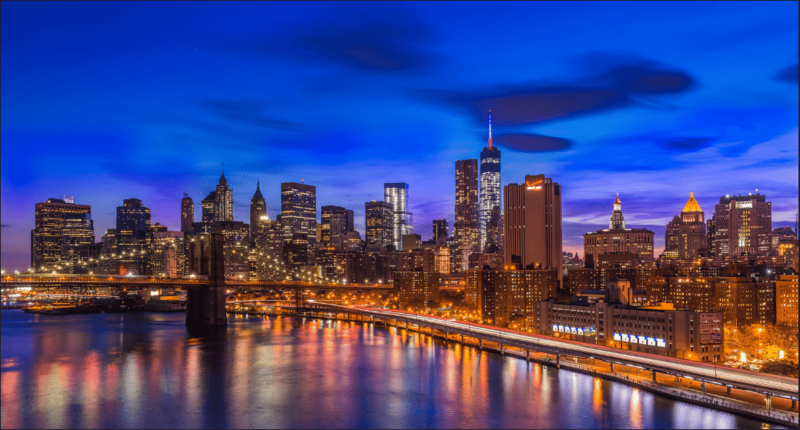 Select the image you want to embed on your WordPress site. Copy the URL of the image directly from address bar of the web browser. 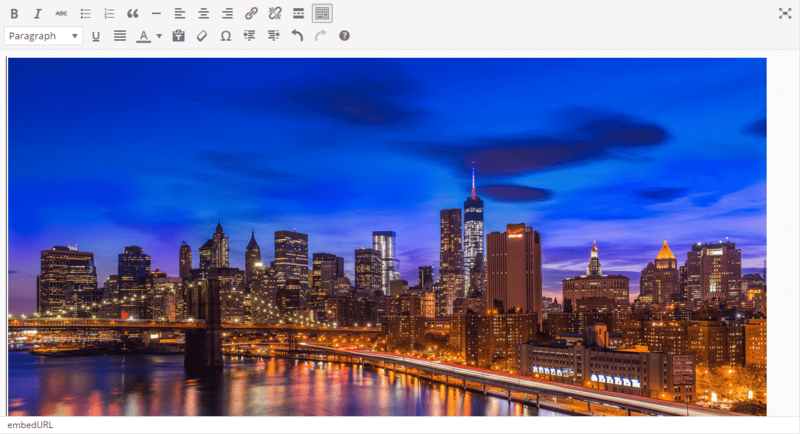 Now you have the URL, you can use it to embed image in WordPress. Click on “Post” or “Page” icon from “New” option or Edit your previous post or page to add embed. Add your image URL into the content area, with the “Visual” tab enabled. A purple background with a “Loading your embed…” message will be visible for a few seconds. The URL will be automatically modified into an embed of your Flickr image. The Embed will be very responsive. Hover over the Flickr image embed and a purple button will show up on the top of it. Click the pencil icon and a pop-up window will be visible with more options. You can modify your Flickr image embed URL, in addition to that you can also modify the width and height of the embed according to your requirements.